Car prices are converging across the European Union but there are still huge differences between countries, a new report has concluded. Cars are cheapest in Poland, according to the European Commission, and most expensive in Austria and Germany. The Commission found that prices were gradually flattening out, although differences of more than 20% were common, particularly for luxury models. The EU introduced new regulations in 2002 in order to liberalise the market. In its first survey of car prices since the Union expanded to 25 members in May, the Commission found that the average price difference across the Union had fallen from 4.9% to 4.4% between April 2003 and 2004. Prices in Poland were 9% lower than in Finland, the least expensive market among the EU's old 15 members. Finland, itself, boasted prices some 10% lower on average than Germany. 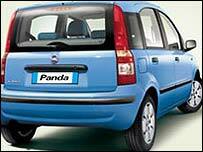 The report, which analysed sales of 90 models, concluded that Fiat Pandas sold in Poland were the cheapest cars across the EU. "This finding, with a slight downtrend in car prices in some of the high volume EU 15 countries is a hopeful sign that competition is gaining a foothold in the car sector," EU Competition Commissioner Mario Monti commented. Prices rose 0.8% across the 12 Euro zone nations over the period, remaining unchanged in Britain. Separately, the Commission said it was taking legal action against Peugeot-Citreon, the French car maker. It is accusing the company of denying bonuses to dealers in Germany and Netherlands who sold cars to foreigners.